Whilst IIS (Internet Information Services, a Microsoft web server) accounts for relatively few users, compared to Apache, there are enough to warrant providing information which is unique. PHP can run on IIS, so a Joomla! web site also can run on IIS. The PHP.net website should be referenced, regarding the installation of PHP on Windows and the configuration of IIS to process PHP webpages and scripts. To get started, here are some helpful links for developers who want to install PHP and Joomla! on IIS. Windows filesystem permissions are more complex than the 3-level, 3-value Unix-style rw-r--r-- conventions. A directory or file does have an owner, and Windows does have groups, but there is no "everyone else" under Windows. There is a group called Users. This corresponds to all accounts used by human beings to deliberately interact with the server. But accounts for services, system operations, and software user permisions do not belong to that group, and in fact no accounts at all (human or otherwise) have any privileges which aren't explicitly granted either directly to the user or by membership in some group. Beyond Read, Write and Execute, Windows permissions include additional values. The important ones to know about for a Joomla website are Read and Write. When logged in to the Windows server, run Windows Explorer, and navigate to inetpub. Right-click the directory which holds your Joomla site. Get Properties, tab to Security. Make sure that the LOCATION field is set to the local computer, not a domain controller. 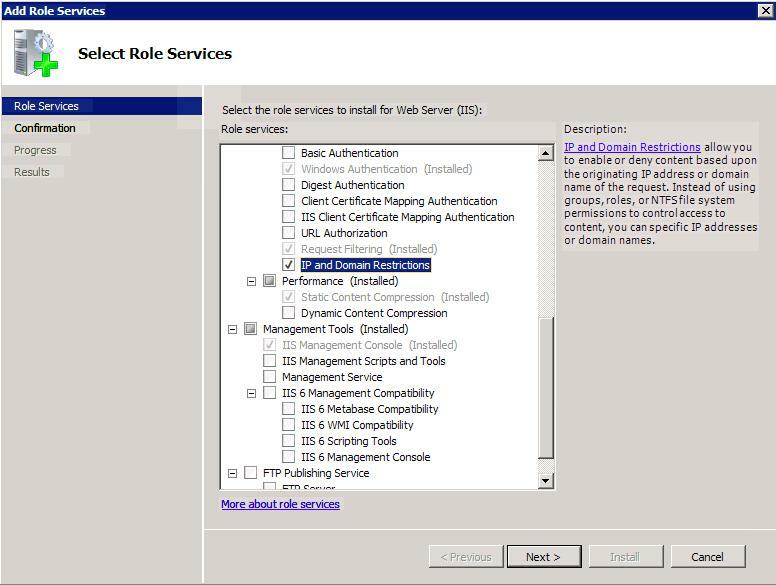 Type iis_iusrs into the field for identifying the user/group you are granting access to. Highlight the iis_iusrs entry in the access control list. Confirm, put the security window away now. Open Start -. Administrator -> Computer Management. Navigate to Local Users and Groups -> Groups. again, make sure that the LOCATION field is set to the local computer, not a domain controller. Type IUSR into the field for identifying the user/group you are granting access to. Run the Joomla installer again, and enjoy your PHP user's write privileges in your website folder. The functioning of SEF URLs depends on "URL rewriting" - matching patterns in incoming HTTP requests, and passing the request to the webserver in a different format. Joomla can only understand the parameters present in the "ugly" request, so the human-readable path in the incoming HTTP request needs to be re-written for Joomla. mod_rewrite is the familiar way by which many webmasters translate nice human-readable, spider-friendly URL requests like /about_us/contact_information into the "ugly" internal server path like /index.php?option=com_content&view=article&id=999&Itemid=23 that makes Joomla serve up some content. A text file called .htaccess contains the rewrite rules, which are written according to a specific syntax. Before Windows Server 2008 and IIS7, only third-party add-ons could add URL rewriting functionality to an IIS webserver. For servers today still running IIS6 or earlier, these are still available. CodePlex is a website and code-sharing developer forge associated with Microsoft, and it hosts at least two good-quality URL rewrite solutions for IIS6. At least one of these modules will parse and execute the same rewrite rules which work in Apache .htaccess files. Windows Server 2008 comes with IIS7, which is the first webserver for which Microsoft provides a native module which provides URL rewriting functionality. The module is called "IIS URL Rewrite Module" and is free to download and install on your IIS7 webserver. The IIS7 module configures and stores its rules in a very different way than the format Apache provides via .htaccess. The rules are stored as XML data in the web.config file in a website's root. The IIS Management Console provides a GUI and wizard for creating and testing rules. The wizard is capable of reading a text file with .htaccess-type rules and converting them to the native format. See Enabling Search Engine Friendly (SEF) URLs on IIS for instructions. This page was last modified on 5 April 2012, at 17:20.